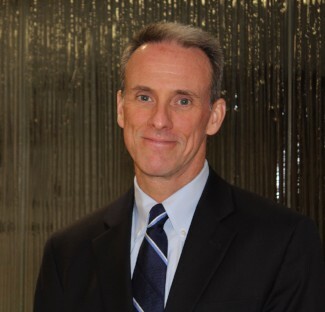 I am pleased to announce that the Board of Trustees has elected Michael J. O'Hagan as the next president of Arrupe Jesuit High School. Very Rev. Ronald Mercier, SJ, Provincial of the U.S. Central and Southern Province of the Society of Jesus, has given his approval, as required by the bylaws of Arrupe Jesuit High School. Mr. O'Hagan will assume this position as of July 1, 2018. Until that time, he will work closely with the current president, Fr. Tim McMahon, SJ, to develop a smooth transition plan. Mr. O'Hagan is currently serving as the founding principal of Arrupe Jesuit High School, where he has worked fourteen years forming the student educational experience in the Jesuit, Catholic tradition. During his tenure, Mr. O'Hagan has worked tirelessly with faculty, staff, and students to build a robust college preparatory high school that has grown to over 420 students since inception. Mr. O'Hagan's demonstrated leadership combined with his deep understanding of the challenges and opportunities facing Arrupe Jesuit over the next decade will be key drivers to ensure the future success of the school. Prior to working at Arrupe Jesuit, Mr. O'Hagan worked as a teacher and athletic director at Bishop Machebeuf High School in Denver from 1995 to 2003. Previous to that he served as a teacher and athletic director at Nativity Preparatory School in Roxbury, Massachusetts, and at Nativity Mission Center in New York, New York. Mr. O'Hagan graduated from Boston University with a master's degree in teaching in 1994 and a bachelor's degree in English from Notre Dame in 1987. He also attended Regis High School in New York. He and his wife, Mary Beth, have three children all of whom attended Regis Jesuit High School in Aurora, Colorado. Their oldest son, John, is currently a junior at Santa Clara University, their daughter, Maggie, is a freshman at the College of the Holy Cross and their youngest son, Joseph, is a junior at Regis Jesuit High School. - He is an energetic and tireless worker determined to develop the community support necessary around fundraising and Corporate Work Study jobs. We will share more details about the transition from Fr. McMahon to Mr. O'Hagan as soon as they are determined. For now, please join me in congratulating Mr. O'Hagan on his appointment. Thank you for your ongoing engagement, support and prayers for Arrupe Jesuit, and especially for both Fr. McMahon and Mr. O'Hagan as they begin to work together over the next several months on this important transition.